Director Zack Snyder recently confirmed that the third Mother Box will be featured in Justice League, and that it will be none other than Victor Stone, a.k.a. Cyborg. There have been plenty of rumors swirling round the Mother Boxes and how they fit into the story, especially after the Batman v Superman: Dawn of Justice deleted scene that featured Lex Luthor (Jesse Eisenberg) using Kryptonian technology to create a vision of the villain Steppenwolf holding three Mother Boxes. Director Zack Snyder also offered more details about bringing this team together in Justice League. Zack Snyder confirmed that Cyborg is the third mother box in the print issue of Total Film, but this isn't the first time he's mentioned that particular detail. 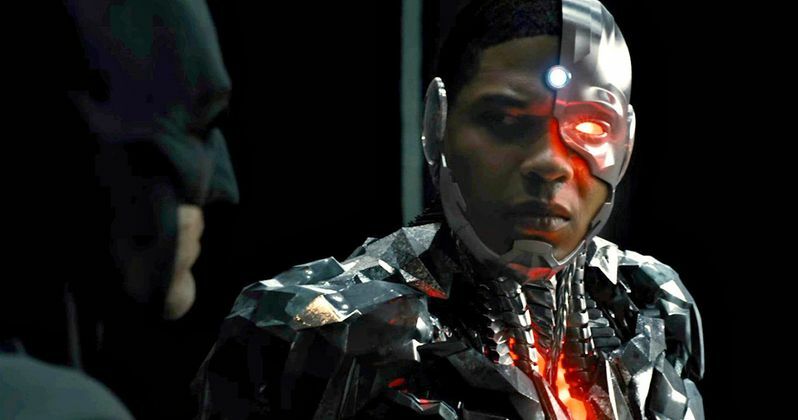 The filmmaker revealed in a March interview that the Cyborg scene in Batman v Superman: Dawn of Justice, where Victor Stone's father Silas (Joe Morton) presents his son with a strange box that turns him into Cyborg, is the "first glimpse of the Mother Box there," adding that Ray Fisher's character, "plays such a strong part coming up." Another rumor from May revealed that Justice League will open with a flashback scene from 30,000 years ago, featuring Darkseid and his first defeat when the humans, Atlanteans and the Amazons all came together to beat him. These three civilizations are believed to have divided up an artifact into three parts, the Mother Boxes, which Steppenwolf is presumably coming for in Justice League. It has also been rumored that Steppenwolf will be the main Justice League villain, with Darkseid appearing at the end of the movie, leading into the currently untitled Justice League 2 sequel. While Zack Snyder wouldn't speak more about the Mother Boxes, he did discuss how bringing this team of DC heroes together was one of the most rewarding aspects of the film. "One of the more rewarding aspects of creating Justice League was having fun exploring the dynamic between this diverse group of characters, inherently larger-than-life characters with disparate backgrounds, ethics and unique perspectives all trying to come together and work as a team. It not only offers an opportunity for great drama and complex relationships, but it also often results in great fun. It's an exciting concept to explore and it only gets better when you add the component of our incredibly talented cast, their chemistry really adds to that dynamic." It's possible that one of the other Mother Boxes will be revealed in the upcoming Wonder Woman movie, which hits theaters June 2, just five months before Justice League arrives November 17. It's also possible that the remaining Mother Box will be featured in the stand alone Aquaman movie, which debuts October 5, 2018, before the Justice League sequel will hit theaters on June 14, 2019. Hopefully we'll find out more about these Mother Boxes as we get ready for Wonder Woman and Justice League to hit theaters this year.